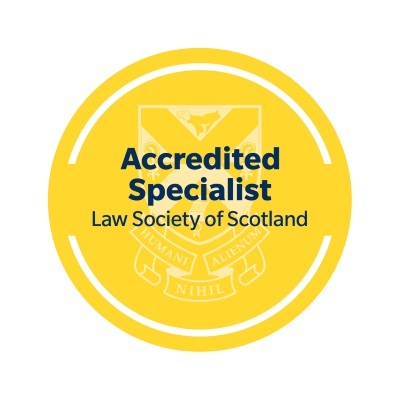 You are here: Home / Valuation of claims / Do you have a compensation claim for a minor injury? Do you have a compensation claim for a minor injury? 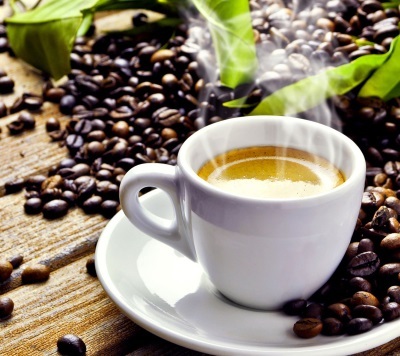 Caffeine is the most widely-consumed psycho-active substance in the world. By ‘psycho-active’, we mean that it has effects on the central nervous system such as improving energy levels, increasing alertness and, in some people, elevating their mood. Many substances are attractive to us partly because they contain caffeine. If you search online using the phrase “tea has more caffeine than coffee”, you will get about 835,000 results. The wording of the search reflects a commonly-held conception: that tea works better than coffee as a caffeine-delivery system. But is that correct? Studies have shown that tea leaves have more caffeine than coffee beans. But that’s not how things finish up in the cup. The main difference between tea and coffee is how much of it gets leeched into the hot water used to make the drink. In fact, you end up with about twice as much caffeine in a cup of coffee as in a cup of tea. 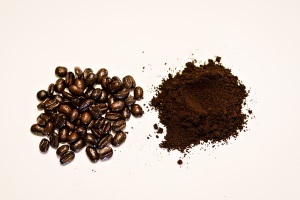 It’s all about surface area: coffee beans get ground up, so more of the coffee meets the hot water, meaning more caffeine comes out. Ground coffee lets so much caffeine out because of its large surface area. In other words, in order to answer the question whether tea contains more caffeine than coffee, it’s all about what you mean by ‘tea’ and ‘coffee’. Is it tea / coffee as a raw material or tea / coffee as a drink? In relation to personal injury claims, a phrase which can cause problems for us in a similar way is ‘minor injury’ or ‘minor injuries’. On the face of it, you would think the definition should be straightforward. But it turns out that it’s not – partly because what lawyers understand by the term is often different from what a layperson would think. 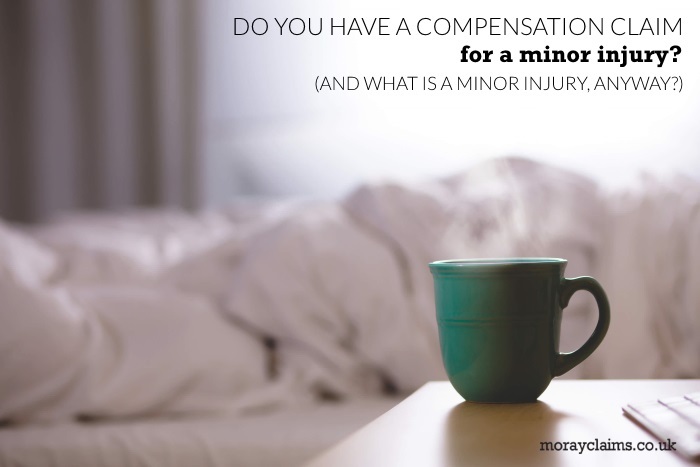 It’s important to understand about this, if you are considering making a compensation claim for a minor injury. In this article, we will use the terms ‘minor injury’ and ‘minor injuries’ interchangeably. 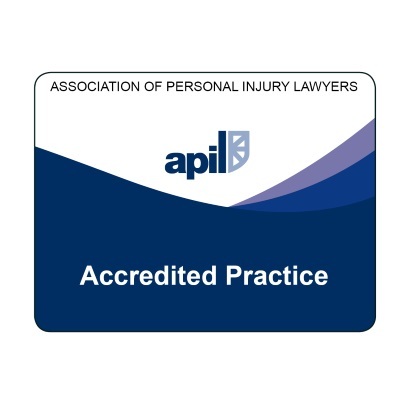 We will look at 3 aspects of minor injury claims. Firstly, what is a minor injury in this context? Secondly, when does an injury get too small or too significant to be classed as a ‘minor injury’? And, thirdly and finally, we will look at some of the considerations that affect the valuation of claims for minor injuries. 1. What do we mean by ‘minor injuries’? The big problem with ‘minor injuries’ is that it’s a loaded term. The hidden, negative implication is that ‘minor’ must equate with ‘unimportant’ or ‘insignificant’. In that sense, no one wants to feel they ‘only’ have a minor injury. On the other hand, ‘Minor injuries’ ‘ significance in a legal context can be seen by them having their own specific chapter in the Judicial College Guidelines. The JC Guidelines are used by lawyers and insurers to provide a ballpark estimate of the value of various different types of injury. The guidelines did not always have a section devoted to minor injuries. Also, some other sections of the guidelines deal with injuries which could fall within the ‘minor’ classification (e.g. some whiplash injuries, which are dealt with in the neck / back injuries chapter) but don’t because they are in these other sections. ‘Minor injuries are injuries which are of short duration, where there is complete recovery within 3 months’. No one could reasonably say that a minor injury lasting 3 months was insignificant or unimportant so, in some ways, the use of the term ‘minor injuries’ is unfortunate. 2. What are the upper and lower limits of minor injuries? At the upper end of the scale, you might think from the definition above that 3 months is the clear cut-off point; that if your injury resolves within 3 months, it must be a ‘minor injury’. However, it is not quite as simple as that. The guidelines specify that: ‘Cases where there is significant pain or multiple injuries, albeit full recovery within three months, may fall outside this chapter.’ In other words, even if you get better within 3 months of an accident, if it has, say, been a surprisingly quick recovery from an apparently more serious injury, it might justify a valuation for solatium (pain and suffering) above the top-line value in the minor injuries chapter (for which, see more below). What is the lower limit of the definition of ‘minor injuries’? On 07 September 1977 there was an explosion at ICI’s premises in Grangemouth. It generated considerable force, with flames, a rush of air, smashing of glass, demolition of a brick wall and damage to equipment. ICI accepted they had been at fault for the explosion but they disputed that several workers who claimed compensation for personal injury had actually suffered injury, in legal terms. One of the claimants gave evidence that the explosion caused a bang, with associated blast. He fell from his seat onto the floor but he was not physically injured. He carried on normally after that, though he felt a “wee bit shaky” (he didn’t say for how long). His sleep was not affected. He did not seek medical attention. The Court of Session agreed that emotional reaction not amounting to physical injury or a recognised psychiatric disorder did not give a right to compensation. Something more by way of injury than a mere fright is required to attract an award of damages in respect of a negligent act. Given that the explosion seems to have been a significant event, it’s easy to fall into the trap of thinking that any sort of understandable human reaction to it must give a right to compensation. 3. How are claims for minor injuries valued? We are looking at the valuation of these claims from a Scottish perspective. You also need to bear in mind that each case depends on its own facts to some extent (i.e. what follows is not definitive ‘advice’). Injuries where there is a complete recovery within three months (£1,050 to £1,860). One thing you can see from these amounts is that, even at the guideline level, valuing compensation is more of an art than a science. With the top value for a 7-day injury guidelined at £525, you might expect that a 4-week injury would have a ‘maximum’ value of £2,100 (i.e. 4 times £525) and a 3-month injury (13 weeks) £6,825. In fact, these values are only £1,050 and £1,860, respectively. What you can say is that the ‘hourly rate’ for injury compensation decreases significantly the longer the symptoms last. On a cynical view, if you’re going to have any injury at all, short-lived injuries are best value. Also, remember that the values above are only guidelines for the injury part of the claim. If you have claims for wage loss, services or out-of-pocket expenses, for example, those things are claimable in addition. Minor Injuries are generally those injuries from which people recover within 3 months. Just as tea and coffee don’t always mean the same thing depending on the context, so ‘minor’ does not mean ‘insignificant’ in this setting. The definition of minor injuries is not absolute. Some 3-month injuries are worth beyond the limit of the JC Guidelines’ Minor Injuries section. At the other extreme, some ‘injuries’ are not legally enough to tip the scales sufficiently to get onto the bottom end of the scale. The valuation of personal injuries is not logical. This article has looked at issues which arise if you are considering making a compensation claim for a minor injury. If you have any questions generated by what this article contains, please ask us. 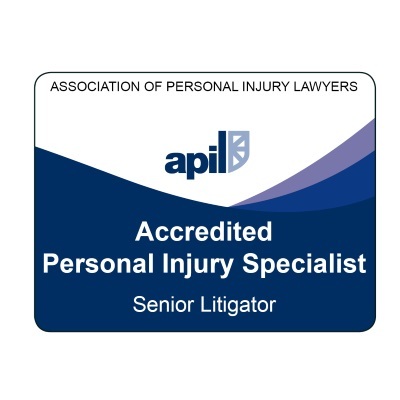 In trying to explain personal injury-related topics, it’s easy for us to overlook to provide information because we assume it to be ‘obvious’ – but it may not be. All initial enquiries are free of charge and without obligation. You can contact Peter or Marie via 01343 544077 or send us a Free Online Enquiry. Thanks to: Slack Variety Pack for the ‘Tea -v- Coffee’ content idea; David Mao via Unsplash.com for the post header image; Danielle MacInnes via Unsplash.com for the coffee beans / ground coffee image; and Merlene Goulet via Unsplash.com for the coffee cup with coffee beans image.